As its nature, the history of Montenegro is very colorful. Montenegro’s turbulent life was always emphasized by many people, but their continued efforts in the struggle for freedom remained dominant throughout the history of Montenegro. Each part of the history of Montenegro has many interesting stories to tell the curious traveler from various periods in time – from the magnificent Roman Empire up to modern times. 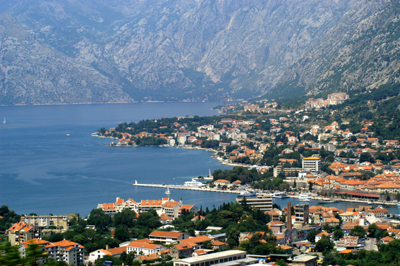 Though their territory is quite small, this country prides itself has much to say as about the history of Montenegro. The name “Crna Gora (Montenegro) is first mentioned in the Charter of King Milutin, in 1276. It is believed that Montenegro got its name after the dense forests covered the Mount Lovcen and surrounding areas. The woods were so dark that viewers got the impression of a mountain “black.” Actually this is a curious fact in the history of Montenegro. During the Roman Empire, the territory of Montenegro was in fact the territory of Duklja (Doclea). With the arrival of the Slovenes in the 7 th century, Christianity quickly gained the lead in this region of Montenegro. Duklja joined the Skadar Lake area with the nearby mountains. The first was Duklja Prince Vladimir. Duklja gained independence in 1040, and was the Kingdom proclaimed in 1077. Thus, it became one of the first independent state in the Balkans. It was named Zeta, which meant the old Slavic languages harvesters. the state of Zeta as an independent state, that this had in the past. In the 14 th century, under the command of Balsicas and Crnojevic dynasties, it became an independent feudal state and expanded slowly, fighting tirelessly against the armies such as Albanian, and later, Turkish and Venetian. This fact surprise us about the history of Montenegro. We can also tell about the history of Montenegro during the period Crnojevic government due to strong attacks by the Turkish army, the people, together with the Family Crnojevic, had to retreat to the Mount Lovcen. Cetinje Ivan Crnojevic chose as its base and built a castle and a monastery there. Cetinje and became synonymous with spiritual freedom and freedom of the state. Djuradj Crnojevic, Crnojevic Ivan’s son, ruled for a short period of time in the history of Montenegro, but left a priceless treasure in the history of Montenegro. During the mandate, in 1493, the first print shop in the Balkans was opened, and a year later, in 1494, the first book was printed – “Oktoih (Octoechos). The Turks took the governorship of Montenegro in 1496 and joined the province Skadar. Regardless of that fact, Montenegro held a high level of autonomy, and fully recovered its independence in 1645. Must be taken into account in the history of Montenegro, its spiritual leaders the bishops took the government of Montenegro and also assumed leadership of the country. By then, authorities in Montenegro were the All-Montenegrin Assembly and the Assembly of heads, while lower levels had “meetings. In 1697, the Montenegrin Assembly elevated Danilo took over as bishop. At that time the establishment of the Petrovic dynasty had begun, and their struggle for the unity of religion and politics. Finally, to finish the story of the history of Montenegro and closer to the present time, we can say about the history of Montenegro that after World War II Montenegro improved its legal status and state and became one of six equal republic of the Yugoslav federation. 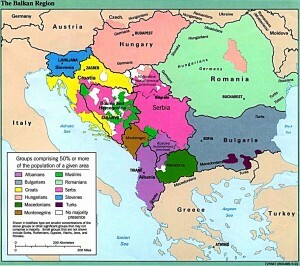 remained in union with Serbia, and the two republics formed the State Union of Serbia and Montenegro. Each Montenegrin is proud to talk for hours about the history of Montenegro and its ancestors. Keywords: History of Montenegro. Montenegro historical facts. Social and political facts of Montenegro. Heroes in the history of Montenegro. Wars in Montenegro.